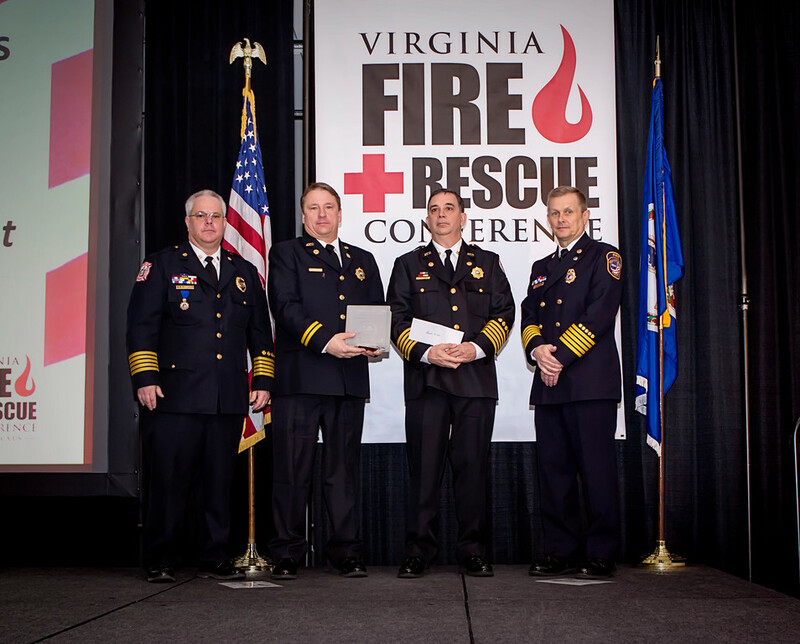 The Virginia Fire Chiefs Foundation’s “Best Practices in Fire Service Health and Safety Award” was presented to the Alexandria, VA, Fire Department last week during the 2016 Virginia Fire and Rescue Conference. 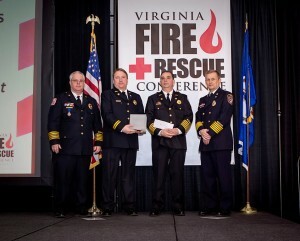 Alexandria’s Fire Chief Robert Dube and Shift Safety Officer Captain Scott Quintana accepted the award from Chief David Layman, president and Chief William “Pat” Dent, first vice president of the Virginia Fire Chiefs Association. Jeffrey Merryman, Deputy Chief of Health, Safety & Risk Management, nominated his department for the award based on a program introduced in 2012 to utilize data for tracking and trending purposes to support “predictable is preventable”. As a result of the program’s successful implementation and Alexandria Fire Department’s commitment to share best practices with other state emergency service department, the safety management tracking and trending software program has been purchased and implemented by the City of Fairfax Fire and Rescue Department and Loudoun County Fire, Rescue and Emergency Services. “This software has allowed our department to gather data and completely revolutionized how we store and analyze this safety related data,” said Merryman. Taking a more comprehensive effort one step further, the department installed and utilizes drive-cameras in their vehicles. “We have found that there is no substitute for video evidence with regards to accidents, injuries and near misses,” he added. In addition to the software tracking and cameras, Alexandria Fire Department established an Incident Review Board made up from all ranks and sections of the department, allowing for a peer review of all incidents, including near misses, accidents and injuries. Recommendations are made for corrective actions through the appropriate chain-of-command. Merryman, a 30-year veteran of Alexandria Fire Department, also serves on the Fire Department Safety Officers Association’s Board of Directors. He also serves as the chairperson of the Metropolitan Washington Council of Governments Fire Chiefs- Health and Safety Subcommittee. Merryman holds Pro Board certification via the FDSOA for Incident Safety Officer and Health & Safety Officer. 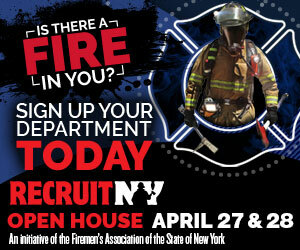 For more information on Fire Department Safety Officers Association contact: Rich Marinucci, Executive Director, Ph: 248.880.1864 or visit www.fdsoa.org.